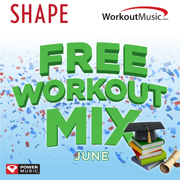 You can get a fun mix of workout songs to download from Shape. All you need to do is enter your e-mail address. You can download to iTunes or as a zip file.